In our new blog we are glad to offer you lots of useful tips and tricks, instructions and pieces of advice which will definitely help you improve and optimize your customer support experience. The main purpose of this blog is to share our best practices and knowledge with our valuable customers and help them to enhance, improve and take the most out of the live chat service implemented on their websites. We will assist you in your efforts to make your clients feel like kings and queens and create strong customer loyalty through outstanding customer care service. We will keep you up to date on all our improvements, new features releases and promotions. If you have a topic that you would like us to cover, please leave a comment in this blog. This entry was posted in Articles, News and tagged optimize customer support. Bookmark the permalink. I am currently a client, the chat system is a critical tool for our business, but currently lacks some features that significantly improve profitability and production use and would love to see these new features suggested a new beta or official release operator console. Allow autofill to the content of the canned response that the title starts with the text “How to”. 2. Allow to fully disable the sound option for visitors, to avoid any errors generated by the lack of quicktime. 3. Default typed canned response for proactive chat. Allow selecting a canned response that appears by default when clicking on the option ProactiveChat. 5. 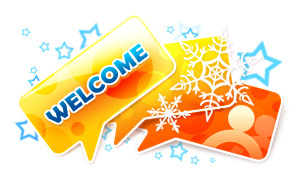 Allow to select multiple visitors at the same time and send an invitation with a Greeting to those selected visitors. Thank you for sharing with us your ideas in this blog and through our support chat, Julian. We will definitely implement some of these suggestions in future operator console releases.